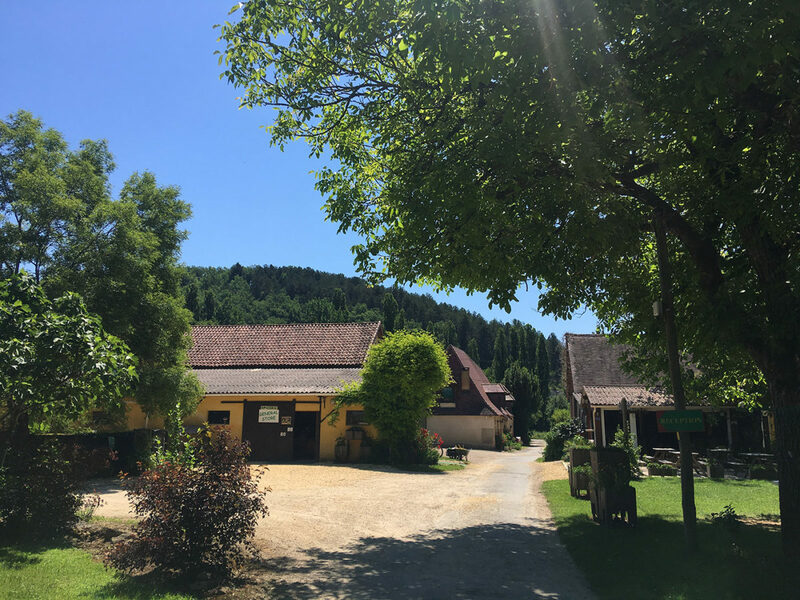 Intro by Campsite... 'Ideally located between Sarlat and Périgueux and Bergerac, at the confluence of the Dordogne and Vezere rivers, the campsite is close to the most prestigious Périgord sites. Join us in one of the most beautiful villages in France. In nature, La Ferme de Perdigat will seduce you with its family atmosphere and with its greenery and flowers. For your motorhome a stable location and for your comfort a grassy area with trees with access to the sanitary block, pool and all other services for motorhomes. Free drainage area at your disposal with an overnight stay.